« Can ICICI Cards Division Unilaterally Deduct Money from Savings Account ? An esteemed reader of Advisory Services has written to share his plight on the on going IVR Credit Card Fraud that is so rampant in India so that users don’t fall prey to the same. he writes to us asking his right as a consumer of Citibank Credit Cards in India which are governed by quasi-judicial authority, the RBI. On Friday, I received a call from 9210417583 mentioning that they are calling from so called Citibank customer service OF CITIBANK Credit Card division and they said that they are giving a free Package (1 Tshirt, 1 Pair of shoe, 1 Wallet, 1 Watch, film tickets, holiday package) because we maintain good account in their credit card. The girl told that she would give me a discount card which would be linked with my citibank credit card through which I can get 20% discount on all my purchase through my citibank credit card. Actually Girls from Madondeals.com called me but she said that she was calling from citi bank and contacting me without the knowledge of Madondeals.com. further she told me that Citibank was giving this gift AND DISCOUNT CARD for maintaining good credit card account with citi bank.again two person called me Named as RAHUL KAUSIK AND AASHISH ON BEHALF OF CITIBANK. They told that I should never show to madondeals that i have received a call from citibank. Also they informed me that the product worth is Rs. 7450 WHICH will be taken from my Credit card. They tell me to confirm the amount through IVR, but citi Bank will automatically will nullify the value from Credit card and that will never appear in our credit card statement and we do not need to make the payment. further they directed me that Call would come from Madondeals.com and they record our conversation. They would ask 2 to 3 times, whether I was okay to make the payment. Girl from citibank ( Fake), have told us that i should say okay and do not mention that i have received the call from citi bank. 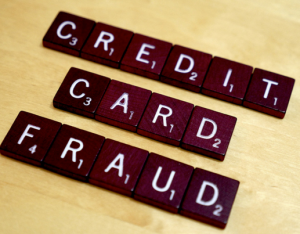 If you are a victim of such fraud, How should you protect yourself ? 1. Due to rampant unethical business practices and weak enforcement of Consumer Privacy Laws, Credit Card Consumers Data is leaked , probably by disgruntled employees of Banks. 2. If you have already authorized the transaction, kindly call the bank immediately and tell them to Block your Card and the transaction. 3. We have corresponded with the RBI seeking what are Indian Consumer Rights when there is a Fraudulent Transaction on Credit Cards. Read this and draft an e-mail to Credit Card Customer Care raising a complaint. 4. Hopefully, they will resolve the issue, if not resolved within 30 days after having filed the complaint, escalate the issue with your Bank’s Ombudsman. This entry was posted on Sunday, March 13th, 2016 at 6:59 pm	and is filed under India Credit Card Help Guide. Today i received a siilar call(09212511045) saying they are giving me benefits as you have mentioned they said they are from VISA and not icici/hdfcr sbi and when i said i wont be disclosing any details they said they don’t want any details and the payment will be done via ivr which according to him can not be fraudulent. I told him to call me back at 7 and called CustomerCare forinfo which they said they have no knowledge of such cards and probably its fraud. I was not also aware that ivr payment can also be scammed.Luckily came across this article. Thinking which authorities i can contact so that they can try and catch these scammers when he calls me later today.